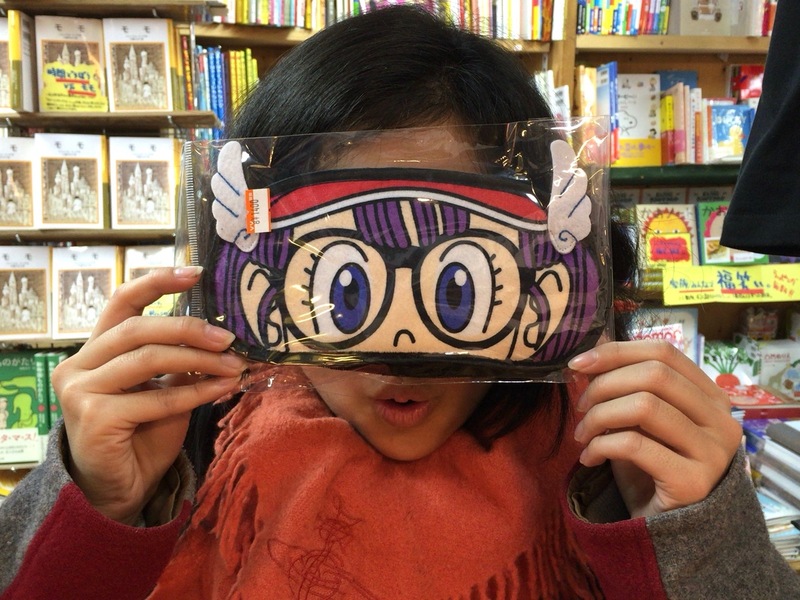 Hello everyone, Shiori here again! 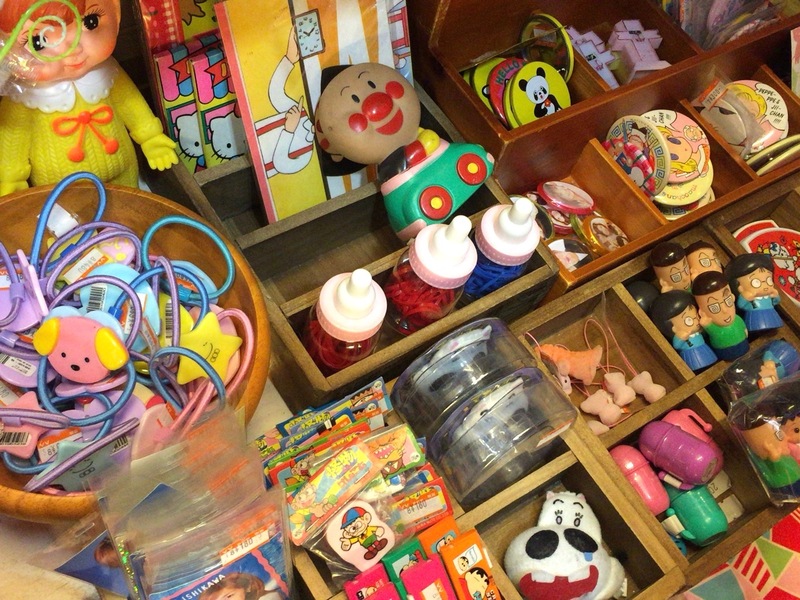 😃 Most people who visit Japan usually know Don Quijote, Tokyu Hands or LOFT as the go to places for shopping, because they’re full of cool stuff that are uniquely Japanese. 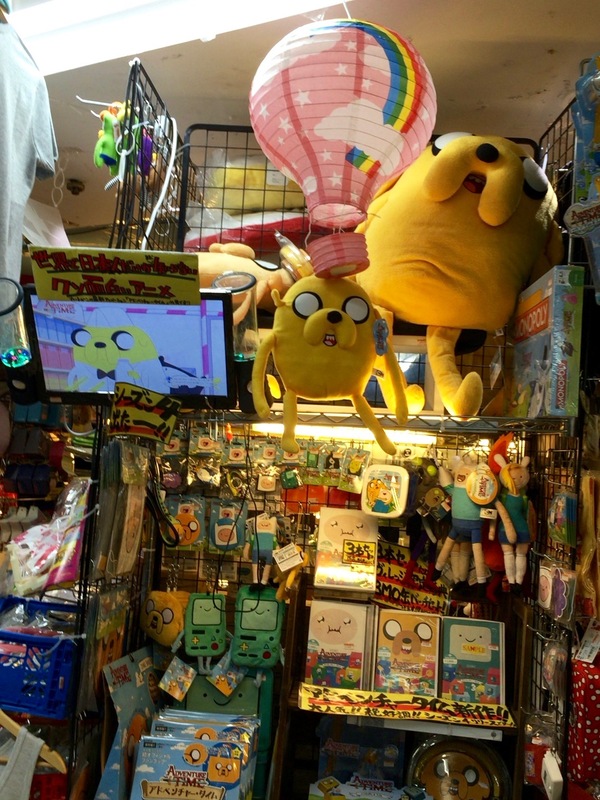 Even if you don’t buy anything, there’s still lots of fun to be had checking out all the new and interesting things on display. 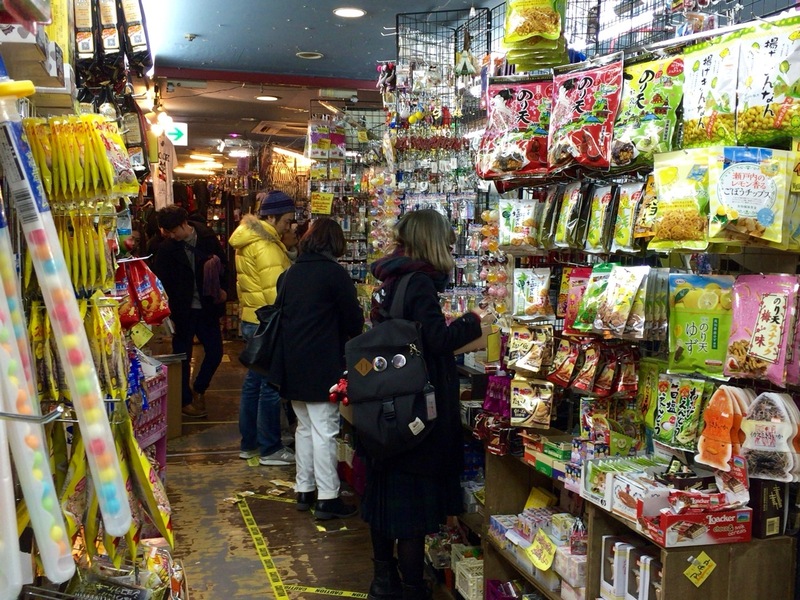 But if you had to choose just one place to go, which would you prefer, Don Quijote, Tokyu Hands or Loft? 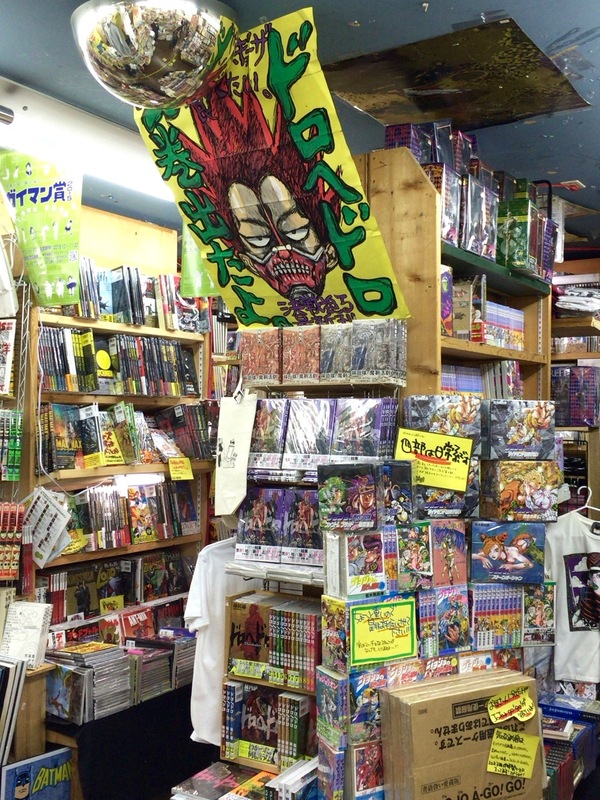 It’s a tough one – Tokyu Hands and LOFT are more stylish and sophisticated, while Don Quijote is more random and chaotic but cheap! If you have trouble deciding, welcome to the club! 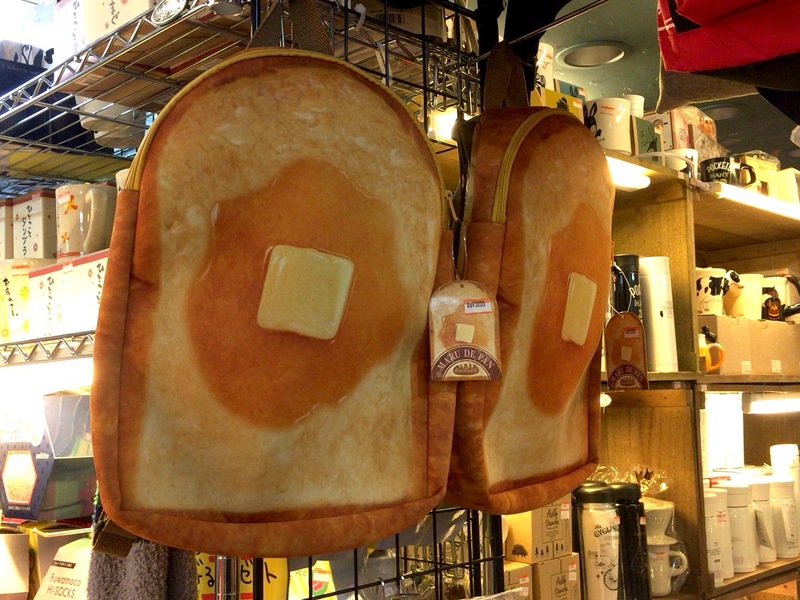 But what if we told you that there’s a place that is a combination of all three? 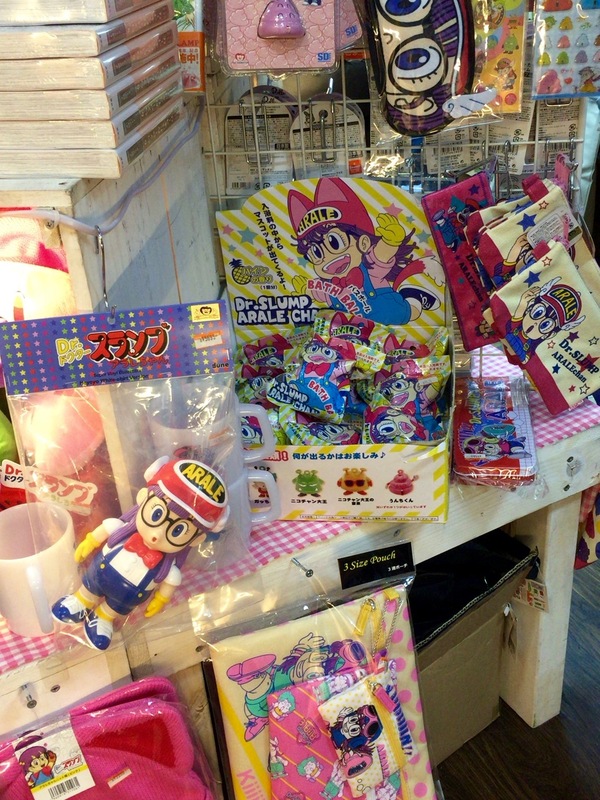 That awesome place is called Village Vanguard, and it’s definitely one of our favorite shops in Japan. 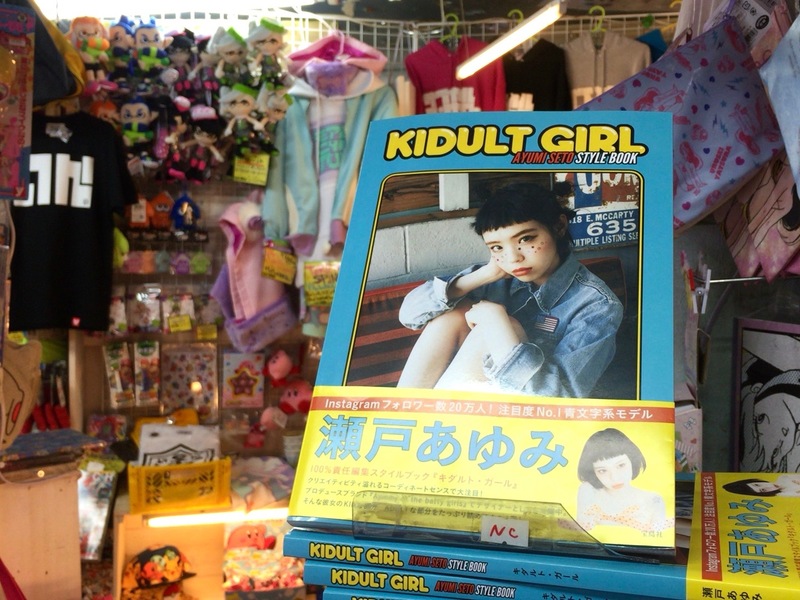 If you’re interested in movies, museums, art, books, goodies, childhood nostalgia, capsule toys and quirky Japanese stuff, this is the place for you! 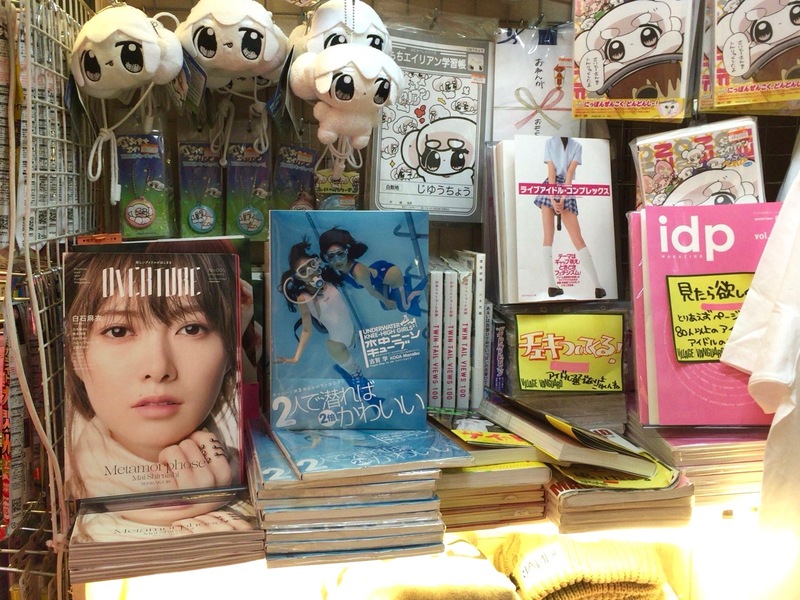 The Village Vanguard concept is asoberu honya which means playful bookstore. If you’re not a book person you might imagine it’s a bit boring, but when you set foot in the shop, you’ll be pleasantly surprised! 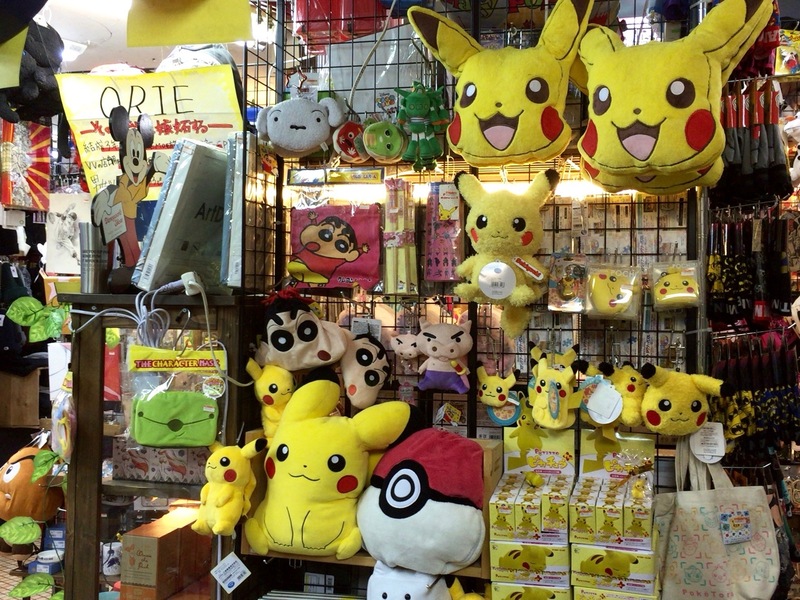 There are 393 branches throughout Japan, and each one has their own unique selection of merchandise. 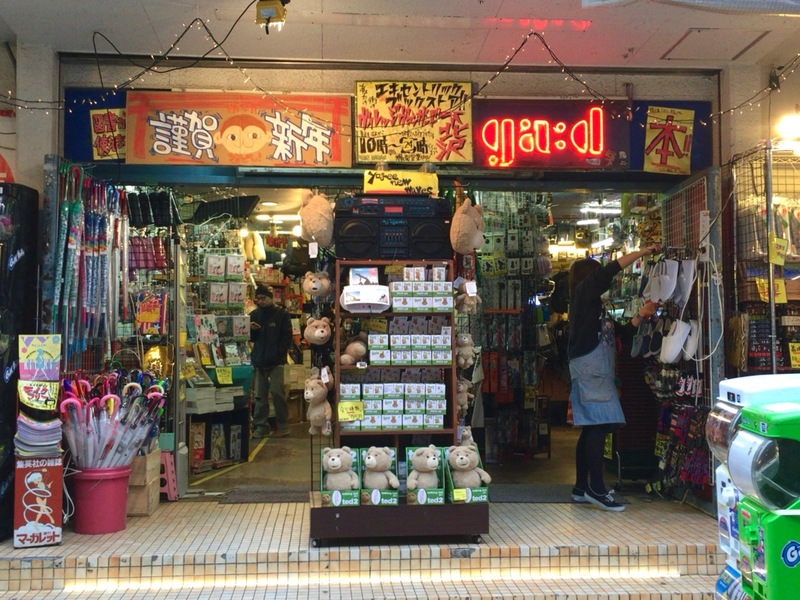 The shop atmosphere is similar to Don Quijote – a little chaotic, but that gives it an exciting street market feel. 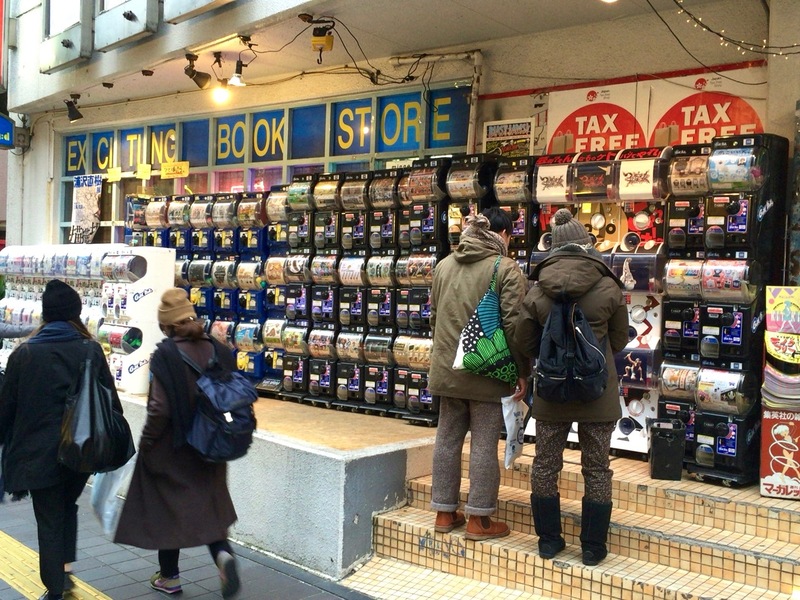 People go there to buy party goods, presents or simply to check out what’s new. And there’s always something new! 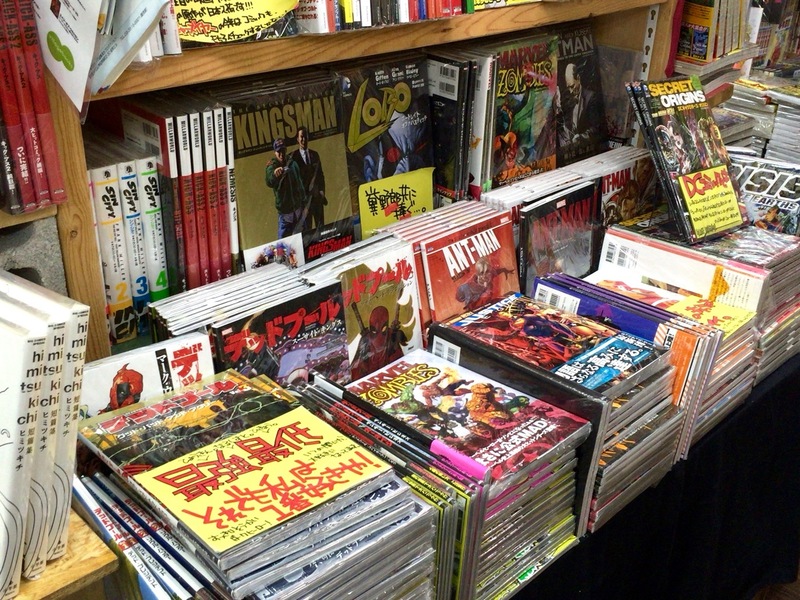 For us Village Vanguard is a great place to hang out when have some time to kill. 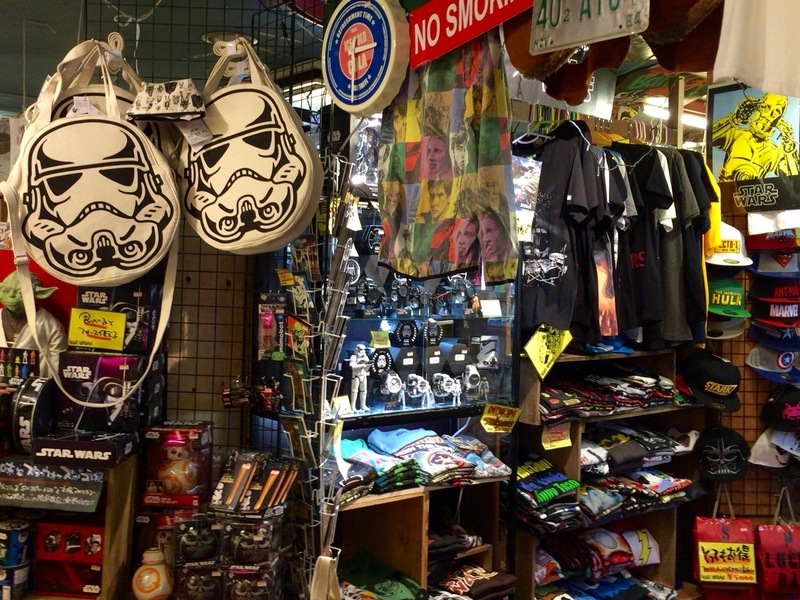 It’s a bit of a trap though, because we often find ourselves having to stop each other from buying stuff, haha. 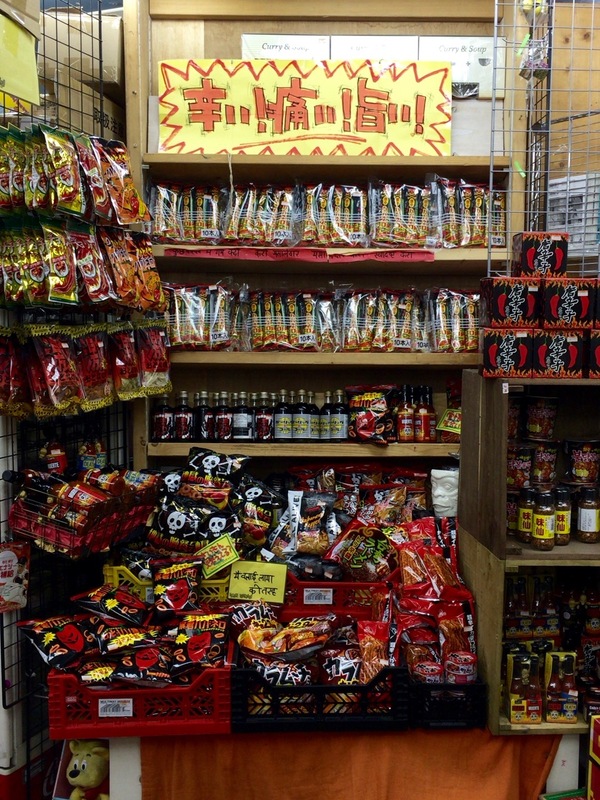 Themed sections like this one for lovers of spicy stuff, the weirdest curry pack flavors you can imagine, canned food, XXL sized versions of popular Japanese snacks. 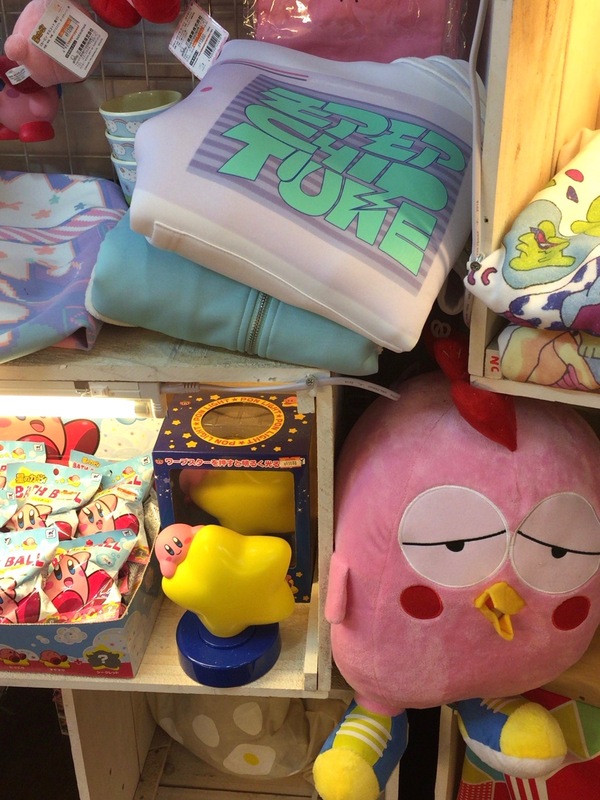 Anime and game characters, Sanrio, Disney, Ghibli and lots more, including some original stuff from the 80s and 90s. 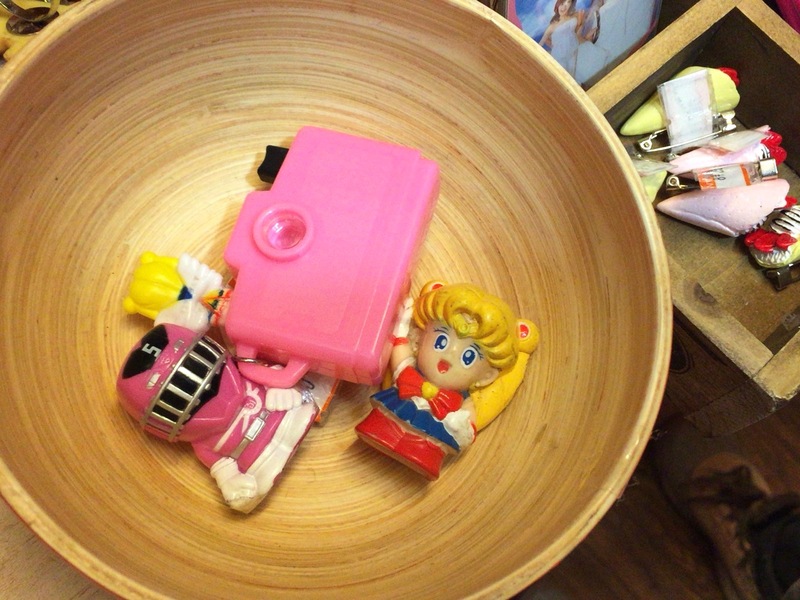 Capsule toys too! 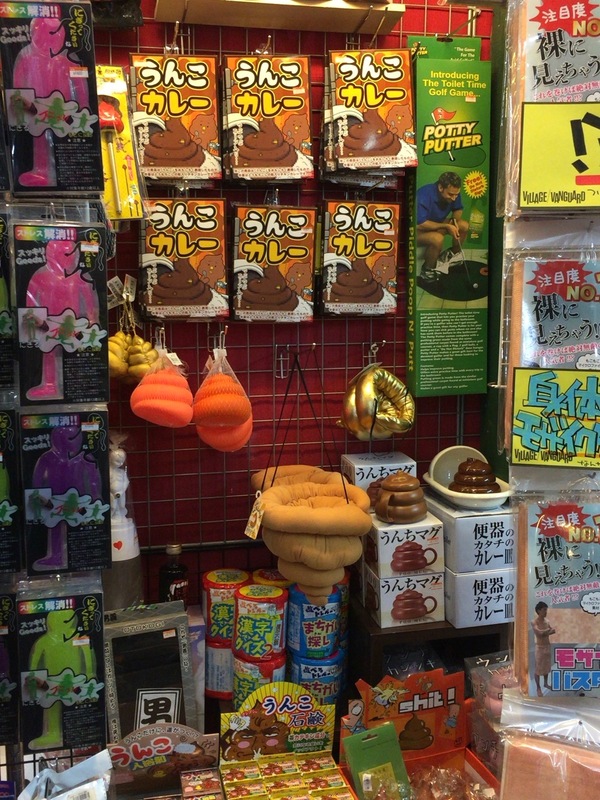 For most young Japanese people this is their go-to place for getting wacky gifts for friends. 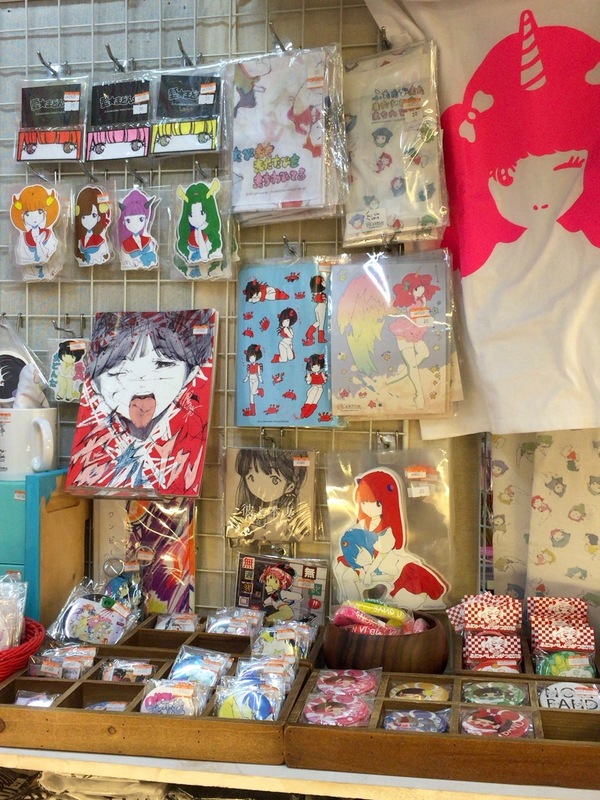 Cute t-shirts, hairbands, pop badges, notebooks, pen cases and more. 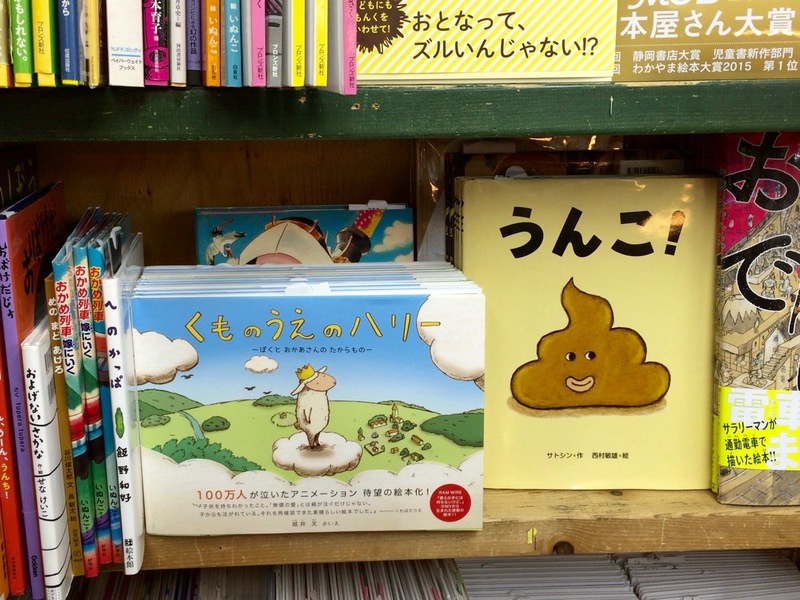 Even if you don’t know Japanese, Village Vanguard carries plenty of interesting books that you can still appreciate and enjoy browsing. 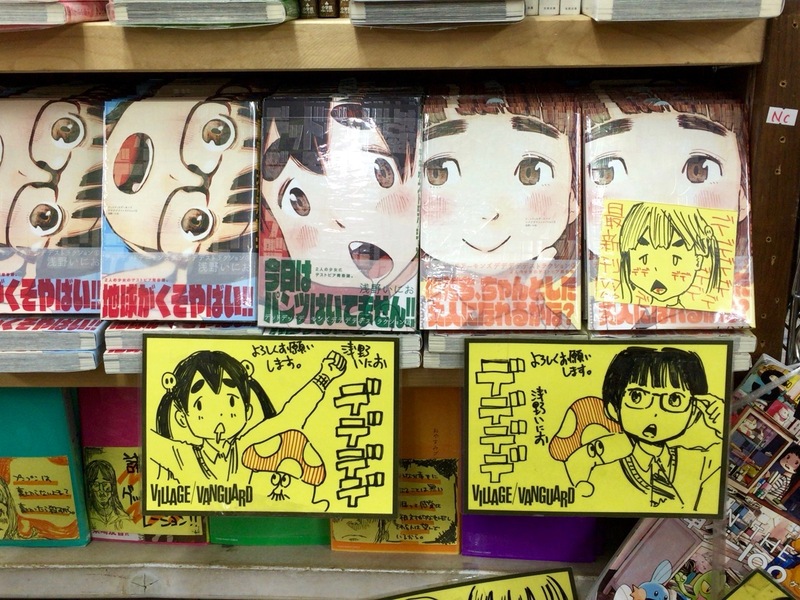 They’re also famous for their really cool handmade yellow display tags. They give the shop such a unique character. 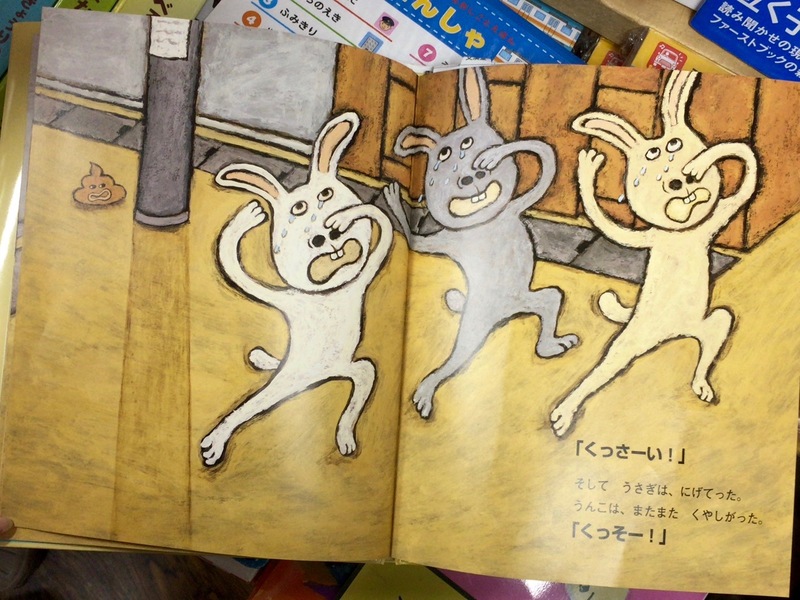 The staff in each branch write all the sales blurbs and even do the illustrations, and they’re super creative! 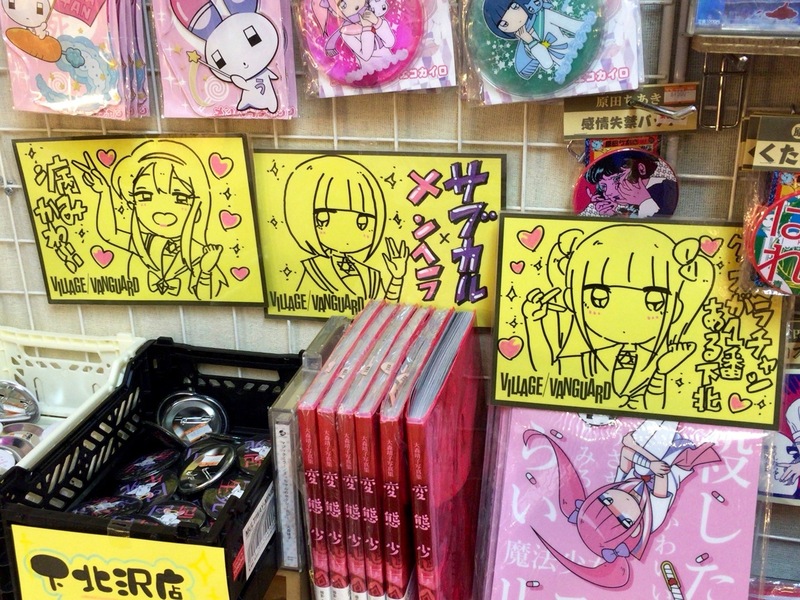 The Village Vanguard staff seem to really enjoy their job, and we think you’ll really enjoy exploring this shop too!